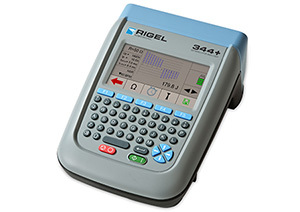 Rigel Medical will be launching two new medical device testers at MEDICA 2011 (Hall 11, Stand 11F31) – the new Rigel 344 defibrillator and 366 infusion pump testers. The move comes as the company benefits from new branding and a range of high performance, value added products which are spearheading growth and sales in important markets in Western Europe, North America, the Middle East and Far East. The new compact, lightweight and portable 344 features the latest Automatic External Defibrillator test programme technology to ensure patient medical equipment is safe to use and functioning properly. The new 366 infusion pump analyser meets IEC 60601-2-24 requirements and features variants of one, two and four independent channels. Each channel can be tested simultaneously across a range of 100 μL (microlitre) to 1,000 mL per hour with results stored in the instrument’s large internal memory. John Backes, divisional manager for Rigel Medical, said: “MEDICA is a key show for us and this year we look forward to launching our new products, which are sure to garner significant interest because of the new features and benefits they offer. The Med-eBase PC software, which can be used with Rigel Medical’s testers and advanced simulators, will be available to stand visitors. It provides enhanced electronic recording and management of medical device safety testing programmes using vital signs simulators like the SIM range (BP/SP/Uni) among other instruments. Also from Rigel will be the UniSIM, which is the only instrument of its type capable of undertaking six synchronised vital signs parameter tests simultaneously: NIBP, SpO2, ECG, temperature, IBP and respiration functionality tests. To find out more about this event please visit our MEDICA 2011 event page.